The Toys ‘R’ Us liquidation conducted this year was remarkable for its scale. It involved more than 800 stores and hinged on the combined efforts of Tiger Capital Group, Great American Group, Hilco Merchant Resources and Gordon Brothers. However, it was noteworthy for another reason—instead of guaranteeing results through an equity transaction, the four companies liquidated the storied retailer for a fee. As recently as five years ago, conducting such a large, complex retail liquidation on a fee basis (as opposed to equity) would have been highly unusual. Go back 15 or 20 years and fee deals were relatively rare (they usually occurred amid questions about the reliability or availability of asset data). Now, however, fee deals are happening much more frequently. 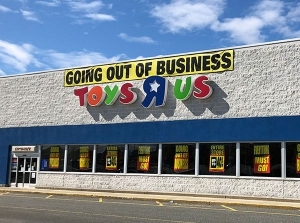 Moreover, the Toys R Us transaction highlights the possibility that the ABL sector may be moving toward a greater prevalence of fee-based deals even in large retail liquidations. On its face, this poses no major problems for the sector: As Toys R Us illustrates, fee-based deals can generate strong recoveries and prove effective for all parties involved. The major players generally are amenable to fee-based retail liquidations, so long as the compensation is commensurate with the resources and expertise required to run an effective process that maximizes the net recovery. Nonetheless, decision-makers should consider the potential unintended consequences that could occur over the long term if fee transactions become the prevailing norm in large-scale retail liquidations. Prior to exploring some of these specific possibilities, consider some of the factors that could drive such a trend. Twenty years ago in a large transaction, the asset-based lenders (i.e., the A lenders) were more often than not the only lenders to the retail company, and the liquidator would guarantee sale results of the retailer’s assets via equity, thus absolving the A lenders of risk in one stroke. Typically, A lenders are paid at least 80% on the day the court approves an equity deal, and then receive a letter of credit for the other 20%. However, as the years passed, the financial sector grew increasingly opportunistic about exploiting untapped value. In particular, the explosive growth of technology meant that lenders had more data and deal intelligence at their fingertips. By 2014, secondary lenders (i.e., B lenders) were becoming significant participants in large-scale retail liquidations. They understood that when the A lenders relied, for sake of argument, on an 85% loan-to-value formula, the remaining 15% was worth pursuing. A robust marketplace arose as B lenders began to reap the rewards of making higher-risk loans at higher rates. So long as they monitored those loans properly, they were successful and their risks were adequately protected. And because being “made whole” right out of the gate is always a good story to bring back to an investment committee, B lenders looked upon equity deals just as favorably as their A lender counterparts. For the term lenders and bondholders behind them, however, the calculus was quite a bit different. Term lenders and bondholders tended to prefer fee deals in which there was a chance of receiving more out of the return than they would from an equity transaction. Fast-forward to 2018 and advocacy for fee-based approaches was becoming routine. Given that fee deals could become more common in major retail liquidations, the ABL community should consider the potential for unintended consequences that may not always benefit these transactions. For starters, equity deals require liquidators to have tremendous amounts of available capital. Recent experience has shown that only the major disposition firms are able to make serious equity bids for the assets of major national chains. This might limit competition, but it also acts as a significant barrier to entry for poorly capitalized, inexperienced contenders. Should the industry shift to a dynamic dominated by fee deals, virtually any newcomer could step in, agree to a bargain-basement fee and make promises it could not keep. The ABL community has already experienced situations in which low bidders won fee deals but were terminated mid-project for various performance-related issues. This could be a very real operational risk—for A lenders, all other debt-holders and the liquidators—if fee deals crowd out equity deals over time. In fee deals, moreover, turnaround professionals tend to view containing costs as a way to add value. For this reason, in a high percentage of the fee deals handled by the major disposition firms, budgets for the likes of advertising and supervision (the liquidation community’s store-level work force) tend to be leaner than they would typically be in an equity transaction. In fact, when budget cuts are pushed on liquidators during fee-based deal negotiations, the advertising and supervision line items are usually the first to be cut down. But veteran liquidators understand just how vital personnel and marketing are to the overall recovery. In equity deals in which liquidators’ own money is on the line, they invest heavily in these areas. Similarly, downward pressure on fees can also have negative unintended consequences. While the drive to save on expenses is understandable, in the end nothing benefits profit more than an improved top line number. Putting in the appropriate time, money and effort is the proven way to achieve that. Fee deals also tend to leave significant control of the GOB sale in the hands of bankrupt retailers’ c-suite execs, who are not shy about interfering in basic decisions during the liquidation process, including staffing, advertising, discount breaks and inventory movement. The problem? Running liquidations on a net-recovery basis is not the same as running a retail company on a gross margin basis. Generally, retail executives cling to the ideology of preserving merchandise margins and tend to benchmark their progress accordingly. But liquidation sales are about getting the best net return in the shortest period of time. Yes, you have to invest in the process, but if it drags on for too long, expenses will eat you alive. Empowered with control, retail executives who fail to understand this imperative can take a “business-as-usual” approach that hinders the deal’s recovery. Another factor: Equity bid guarantees are always accompanied by an agency agreement stating the terms and conditions under which the guarantee amount is based. Those terms and conditions, such as inventory levels, cost/retail relationships, etc., are based on representations made to the liquidator by the company and its professionals. Should any of them turn out to be inaccurate, the agreement provides specific adjustments to the guarantee. This protects not only the liquidator, but the company and ultimately the asset-based lender as well. Likewise, the sharing component of most equity deals can favor the lenders. Once specific recovery levels have been obtained, and the liquidator has earned its agreed-upon return, all remaining proceeds are split with the estate (anywhere from 50/50 to 90/10). Typically dependent on how volatile the asset recovery can be during a sale, the split actually ensures that unforeseen upside will be split between the company and the liquidator. Lastly, today’s equity deals, unlike fee deals, almost always involve the introduction of augmented inventory. By reaching out to vendors to fill holes in the company-owned inventory, professional liquidators are adept at maximizing the productivity of the sale. Here, too, scale matters. On large transactions, the major firms have the capital resources to bring in augmented inventory worth literally tens of millions of dollars. The benefits for lenders are twofold: Equity bidders in some cases may be willing to “overpay” in an auction for company-owned inventory precisely because they are so confident in the potential for augmented inventory to supercharge the sale. Lenders also benefit as the estate often receives a percentage of gross augmented sales, which in turn goes to the lender to the extent it is still owed money. Clearly, equity deals can work well for debt-holders and disposition firms. Bondholders and term lenders, by contrast, tend to favor fee transactions. This is understandable, given that a successful sale will translate into more money left over for them. However, the ongoing liquidation process for The Bon-Ton Stores, Inc., illustrates another possible deal structure. In the Bon-Ton deal, a joint venture of Great American and Tiger worked with the second lien noteholders to buy out the bank debt and acquire all of the retailer’s assets. In this case, the A lender was thrilled with the result and the liquidators and bondholders shared the upside. Through this nontraditional structure, the parties were able to collaborate on an efficient, mutually beneficial process. Certainly, not all retail liquidations will offer enough value to support this type of approach, but such arrangements may merit further exploration in the future. The potential, unintended consequences described above should not be interpreted as a blanket objection to fee-based liquidations. Far from it. However, asset-based lending is a long game. As decision makers focus on the day-to-day deals hitting their desks, we would all do well to take a step back and consider where retail liquidations are headed—and what a shift to fee deals could ultimately mean.